Breathing dysfunction is frequently associated with common musculoskeletal problems and is present in approximately 60% of active, healthy adults. It also contributes to movement dysfunction and can lead to decreased pain thresholds and impaired motor control and balance. 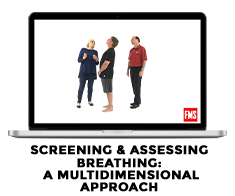 I recently collaborated with FMS – Functional Movement Systems – to develop a course that equips professionals to identify and correct breathing dysfunction in their clients and patients. The video covers the relationship between core function, breathing and movement and includes research for how the three are interrelated. 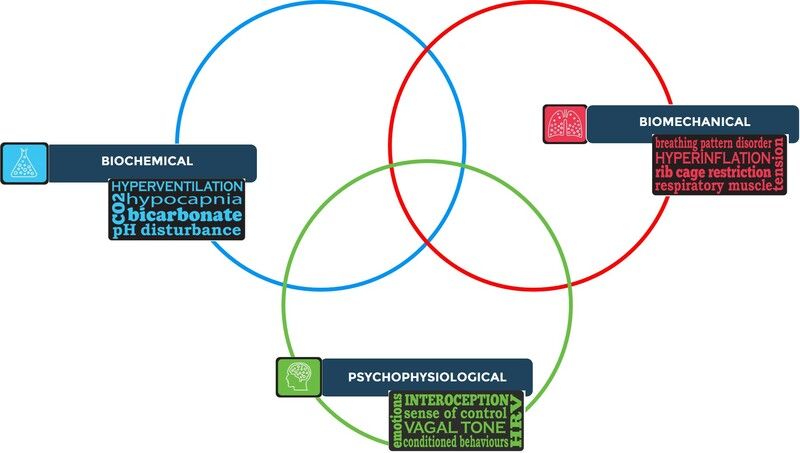 It provides professionals with the tools to quantify and categorize people with breathing dysfunction and offers a pathway to help determine if greater assessment and coordination with other healthcare providers is needed. A novel, research-based breathing screen is introduced demonstrating that a breath-hold time test and a short questionnaire can be quickly used to assess breathing dysfunction. The screen takes a few minutes and provides valuable feedback with 89% sensitivity. Hands on assessment is covered in detail and a new breathing re-training exercise approach is introduced. The course is organized into 7 learning units including hands-on assessment and treatment demonstrations in a case-study format. There are 2 hours of video and downloadable materials.